Tumbarumba is halfway between Sydney and Melbourne and less than 3 hours drive from Canberra. It lies in the western foothills of the Snowy Mountains region of New South Wales with the Kosciuszko National Park to the east and the Murray River and the valley of the Upper Murray to the south. To the west, the country drops away towards the Riverina. Hamilton Hume and William Hovell were the first Europeans to travel through the Tumbarumba district. They passed to the east of present-day Tumbarumba in 1824 on their epic journey from the Yass region to Port Phillip and back again. From a vantage point just south-east of Tumbarumba, they were the first Europeans to see the snow-covered main range of the Australian Alps to the south. The sight of an interminable series of mountain ranges (what we now know as the Jagungal Wilderness Area) with Mount Kosciuszko and Mount Townsend off in the distance caused them to rethink their plan to continue south. Instead they decided to head west through the Mannus Valley and the Lankeys Creek region before once again turning south near present-day Woomargama on the old Hume Highway. By the early 1840s, grazing licenses had been issued for large areas of land in the Mannus and Coppabella areas to the west of Tumbarumba and further south along the Murray River. Grapes would have been grown in the Tumbarumba region since the time of European settlement but the first grapegrowing on a commercial scale did not occur until the early 1980s. Ian Cowell was a senior winemaker for Lindemans and he believed that there were locations along the western side of the Great Dividing Range that had the potential to produce the quality grapes necessary for premium sparkling wine. He was looking for a region that was similar climatically to the Burgundy and Champagne regions of France. His search brought him to Tumbarumba. Independently, Frank and Christine Minutello had left the family tobacco farm in the Myrtleford region of Victoria and moved north into NSW looking for land suitable for grazing cattle and growing grapes. They bought land in the Maragle Valley south of Tumbarumba. In 1981, two vineyards were planted in the Tumbarumba region – the Minutello’s Tooma Vineyards in the Maragle Valley and Ian Cowell and Juliet Cullen’s Courabyra Road vineyard. The Minutellos harvested their first grapes in 1985. The Courabyra Road vineyard was badly affected by the 1982 drought and was replanted in 1984, producing its first crop in 1986. 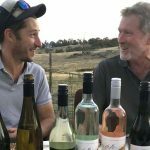 A few more vineyards were planted in the late 80s and early 90s but the next major stage of development was in 1992 when the Department of Agriculture, in conjunction with Southcorp Wines, staged an information night in Tumbarumba for potential grapegrowers. All eight attendees at the information night went on to establish vineyards of their own. The Tumbarumba Vignerons Association was formed on 7th September 1993 with ten members and with Frank Minutello as the inaugural president. Today, the area under vines in the Tumbarumba region is around 300 hectares with an annual crush of around 3000 tonnes. There are nineteen vineyards in the region ranging in size from two to ninety hectares. All are family owned. 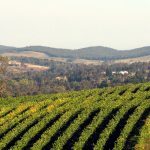 For much of the last thirty years, Tumbarumba has been a grapegrowing, rather than a winemaking region. Most of the grapes grown have been sold to major winemaking companies in other parts of the country. Wines made from Tumbarumba grapes have won many gold medals and trophies at national wine shows for major wine producers such as Charles Sturt University, Treasury Wine Estates (Southcorp, Fosters, Penfolds), Accolade Wines (BRL Hardy, Constellation Wines), Hungerford Hill, Chalkers Crossing and the McWilliams Wines Group. Tumbarumba Grape Processor’s Jingellic Road plant handles most of the initial processing of the grape crop that leaves the area. The plant was established by a consortium of five local grapegrowers in 1999 and it crushes about 1800 tonnes each year. The processing plant includes a winery which is currently leased by Adrian Brayne. In addition to making his Obsession range of wines, Adrian also makes wines for other local producers. 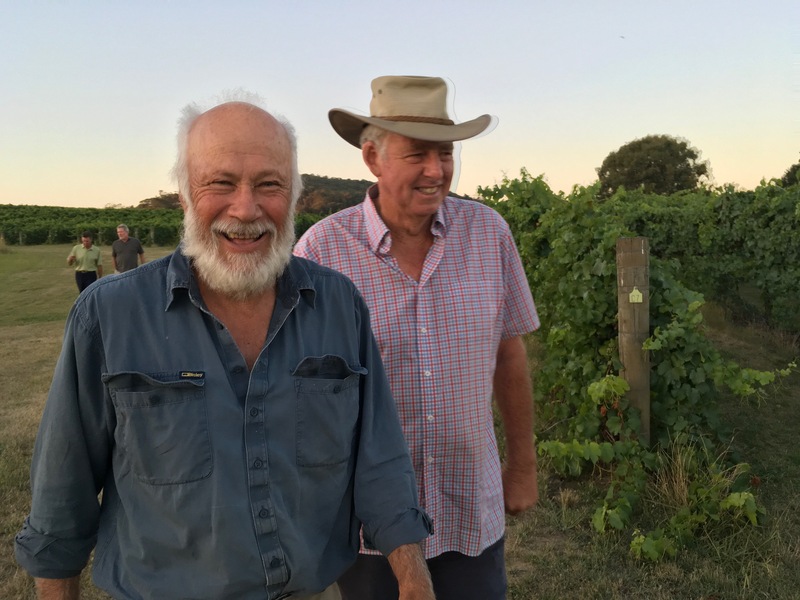 While most of Tumbarumba’s grape harvest leaves the district, there has always been a small number of committed growers who believed in the quality of the fruit they produced and who released wine under their own wine labels. Fortunately for the wine consumer, the number of local wine producers has increased in recent years and their wines are receiving national recognition.